The Mareeba Teens is a fluffy, super chic slide made from faux fur, with an added sport-luxe style. 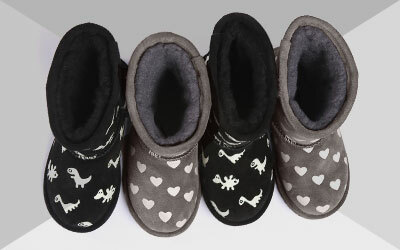 EMU Australia's Mareeba Teens is a fluffy slide; perfect for your Mini Me. Made with faux fur for fuzzy comfort, the microsuede footbed and lining is comfortable and also wicks away moisture, keeping feet cool in summer. The matching colour, EVA midsole adds a sporty edge whilst the durable rubber outsole provides traction and grip.